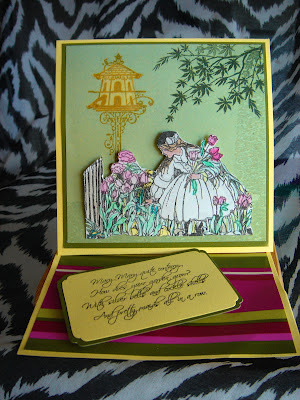 Two of our stamping friends from Huddersfield England have sent us email entries for our "Inside the Garden" challenge. 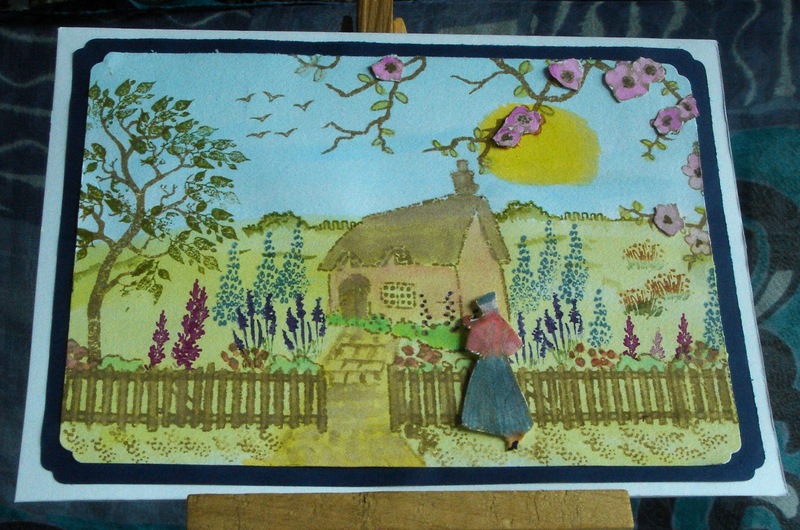 First, there’s “An English Country Garden” from Margaret – this was done in watercolours, using stamps from Art Impressions, Clarity, Hobbyart, plus a magazine cover freebie of uncertain origin! 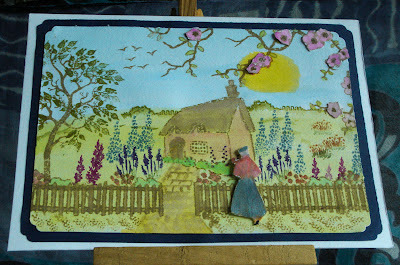 I must confess to drawing inspiration from Brenda’s card with the silhouette ladies (“English Garden Party”) and have used her technique of decoupaging the blossom on the overhanging branches – thanks, Brenda! 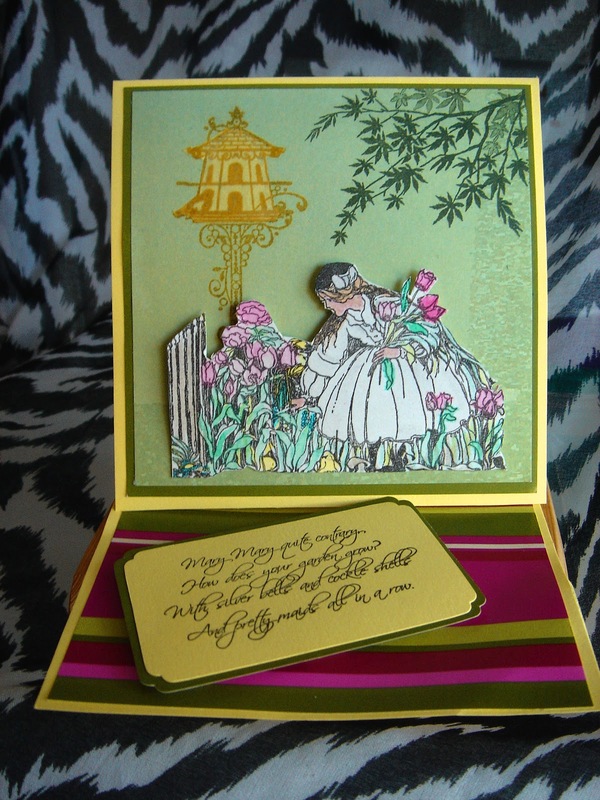 From Dawn, there’s “Mary, Mary, Quite Contrary”, using stamps from IndigoBlu’s “Vintage Nursery Rhymes” set, plus foliage from Inkylicious and a birdhouse which was another magazine cover freebie. This was Dawn’s first attempt at an easel card. These are wonderful creations ladies! Thank you for entering our challenge. Stop by Saturday after 8:00 AM Pacific time to find out who won the challenge and who we picked for the top three. Sunday we will announce the next challenge theme and sponsor.